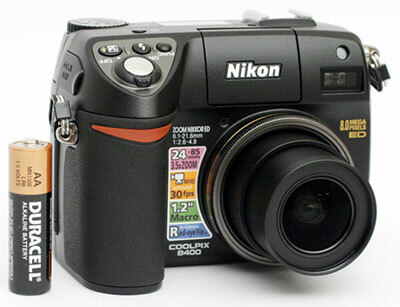 When the Nikon Coolpix 8400 was released, it became the widest lens SLR-like digicam on the market. It offers an eight megapixel output resolution with a full array of exposure modes from full auto to manual. It has a twist and flip LCD monitor design and a high resolution electronic viewfinder. The 8400 is packed with features such as 15 preset Scene modes, BSS (Best Shot Selector), Ultra HS shooting mode, and much more. In our review, we discovered that it offers a good amount to its users. It is capable of producing high quality images with exceptional color reproduction. The 8400 can record JPEG images with low compression that are free from JPEG artifacts. In addition, it offers TIFF and RAW recording options. In our review, we found that there are several strengths and weaknesses in regard to image quality. Read on for a full review of this feature-packed, wide angle digicam.